In today’s society, people are living longer than ever before. While this is obviously only a good thing – we are healthier, we have more opportunities to experience things out ancestors never would have – there are also some drawbacks, chief among them the fact that living longer doesn’t rule out the damaging cosmetic side effects that the aging process can have on us. Wrinkles, including frown lines and brow furrows, are one of the major issues that contribute to people looking older than they would like to. For a long time there were few options available to anyone who wanted to treat their wrinkles but was not interested in invasive, and sometimes dangerous, procedures like surgical facelifts, but now, with the rise of cosmetic procedures that are less invasive, everyone has a second chance at looking younger. Botox injections are perhaps the only treatment that can work to actually stop some signs of aging, like deep furrows and wrinkles, in their tracks, or even erase their appearance entirely. Facts like these are the main reason why these treatments are the number one cosmetic treatment for wrinkles in both the U.S. and Canada. Botox has been used to safely reduce the appearance of facial wrinkles and creases for many years. Botox works by temporarily blocking the nerve impulses that control the muscles of the affected areas, thereby relaxing and softening wrinkles. Botox is most commonly used for deep lines on the forehead and the crow’s feet found around the eyes and has been approved for the treatment of vertical frown lines between the eyebrows, referred to as glabellar lines. Botox is also sometimes used to achieve jaw reduction by injecting the drug into the muscles around the jaw, producing a sliming appearance to the face. Injections take just a few minutes and do not require administering an anesthesia. Botox injections are administered with a hypodermic needle directly into the specific facial muscles connected to the wrinkled skin. As the needle used to give the injection is very small in diameter, there is generally little to no discomfort from the injections. It usually requires three days to a week for the Botox to produce its full effect. It is recommend that patients avoid all alcohol consumption beginning at least one week prior to treatment. Anti-inflammatory drugs, such as Ibuprofen, and Aspirin should also be discontinued at least two weeks prior treatment, as taking either of these medications can often result in bruising around the injection sites. 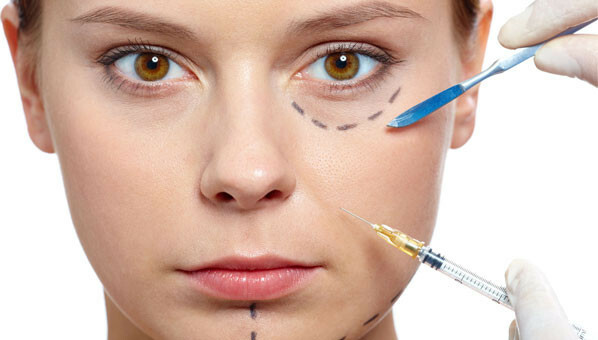 Botox treatments generally last from four to six months, until the body absorbs the Botox. As muscle function gradually returns, the wrinkles will begin to reappear, requiring another injection of Botox. However, lines and wrinkles will often appear to not be as severe as the targeted muscles become trained to relax with continued treatment. There are also non-cosmetic uses for Botox, including treatment of neuromuscular disorders involving the head, neck and eyes. When considering Botox treatments it is critical that patients seek out qualified medical professionals with experience in cosmetic procedures. Skin Vitality, a top provider of Botox injections in Toronto, has a team of highly skilled cosmetic doctors and nurses who administer more state-of-the-art treatments than any other medical staff in the country, and they are more than qualified to answer your questions about the process. Do your research and you won’t be disappointed with the results!